I just got back from a great trip to Las Vegas. The family and I went there to visit my daughter and her husband. 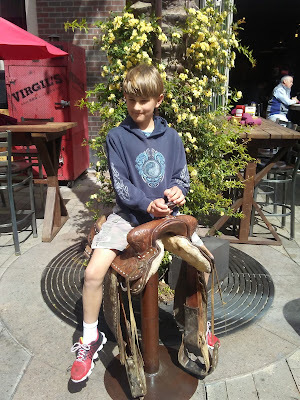 We had a great time checking out the strip and enjoying great food. I am amazed at all there was to see in Vegas. 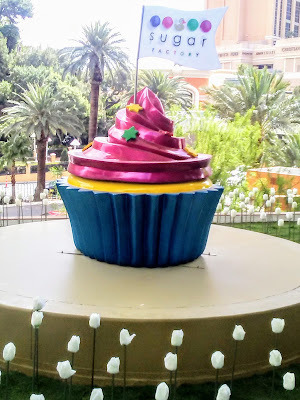 I used to think Vegas was all about gambling and it is for some people but I was able to have a great time without gambling. My family and I enjoyed looking at the lobbies of some hotels. I love the ones that had aquariums. One hotel even had free circus performances. My younger boys really loved all the lights and water fountains in the hotels while the teen enjoyed Hoover Dam. I think my husband’s favorite part was all the good food he was able to eat. Thank goodness we just got our tax refund as the food was quite pricey. Some of the restaurants that we enjoyed included Giordano's, Mikino, and Rubio's. We are originally from Chicago so the stuffed pizza at Giordano's was so good. Mikino had all you can eat sushi and I had way too much as I enjoy sushi. The shrimp tacos from Rubio's were so good, I wish we had this place in Albuquerque. I was amazed at all the hotels and shops that there was on the strip. Our favorites were the M&M store and the Hershey store. Both of these stores had great smells of chocolate. The last day of our trip we went to the Kiss mini golf. This was a cool glow in the dark mini golf. The younger boys loved the cotton candy machine there. For $2.00 this machine made fresh cotton candy. I even got the experience on video. When I got home I discovered my new necklace in the pile of packages. I wish this had arrived before our trip as it would have been perfect to wear while shopping or going out to eat. 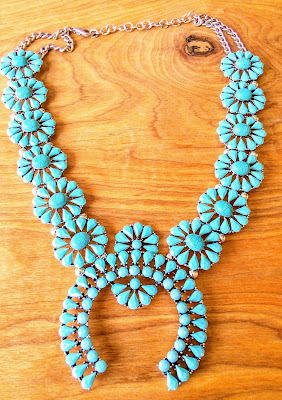 I just love all the turquoise in this vintage necklace! I love that that are shaped into squash blossoms. This necklace was inspired from the Navajo tribe. The bold chunky look is perfect for my dresses with the low cut necklines. It measures 15 inches in length and also comes with a 3-inch extender to get the perfect fit. Now that the weather is warm here, I love being able to wear dresses more often. The blue-green turquoise looks so awesome with my favorite black dress. I can’t wait to wear this necklace to church on Sunday. 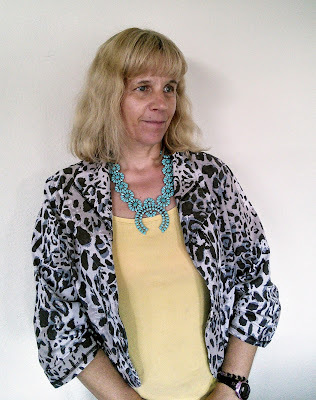 Want to know more about my pretty necklace? I've never been to Vegas before. I hope to go one day. That necklace is so pretty! Love the design of your necklace. Design is very unique and it looks amazing on you. Glad you had a wonderful time in Vegas. That necklace is really pretty. I'm so glad you had fun in Vegas. I can't wait to visit there myself. It looks like you had a great time with your family in Vegas. There's plenty of things to do their for the kids and the adults. Your necklace is just so pretty! It suits you very well too. It looks like you had such a fun time. I have never been to Vegas. It is on my bucket list! Sounds like a fun trip! I love the necklace - super pretty! 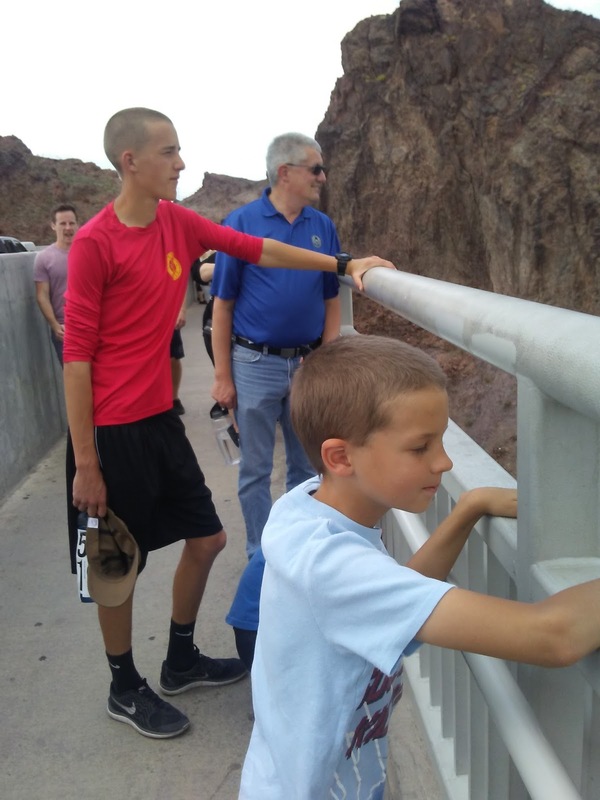 Glad you and your family had a good time in Las Vegas. I was awe struck when I first visited and it is an experience I treasure up to this day. Your necklace is so pretty! I will check out the link you shared. I might want to get one too! Such a cute necklace, I love the turquoise! So glad that you had fun in Las Vegas I have always wanted to go! The necklace looks so pretty! I love big gem necklaces! I haven't been to Vegas in over 20 years, I am sure it is way different than I remember. I always thought of the buffetts!